Whilst many were hiding from the Beast from the East my intrepid teenage son headed to a snowy Angus & Oink BBQ Basics course (thanks Granny - best Christmas pressie ever!) They cooked up... Honey Chilli wings with Vortex, Beer steamed jalapeño cheese sausages, fire box leeks and squash, Brisket burnt ends, Dirty Cow reverse seared TriTip and Sweet Bones baby backs. Can’t believe he never took a doggy bag home for me but I'm looking forward to him using his newly acquired skills. Hopefully he'll let me share some of his creations on the blog. 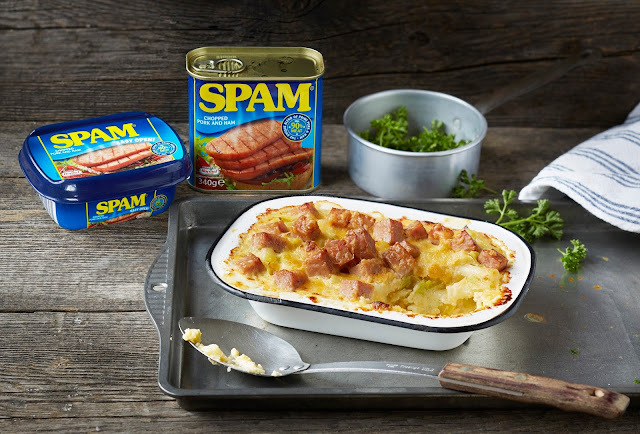 My first recipe of the month was Spam Mac & Cheese to celebrate the annual SPAM appreciation week (yup it really is a thing!) Over the years it has been maligned, celebrated and musicalised but it's still standing proud. In this quick family friendly recipe leeks and SPAM are stirred through the Mac, plus a crispy golden cheese and SPAM topping makes the most perfect comfort food. 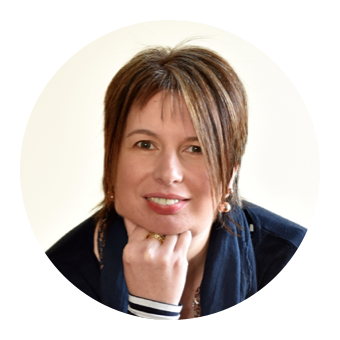 When I spotted that local health and wellness blogger Jo’s Healthy Cupboard was to be running a Plant Based Brunch and Learn I immediately signed up to join the workshop in Banchory. It was a wonderful couple of hours with a lovely group of people and I picked up lots of ideas and inspiration. 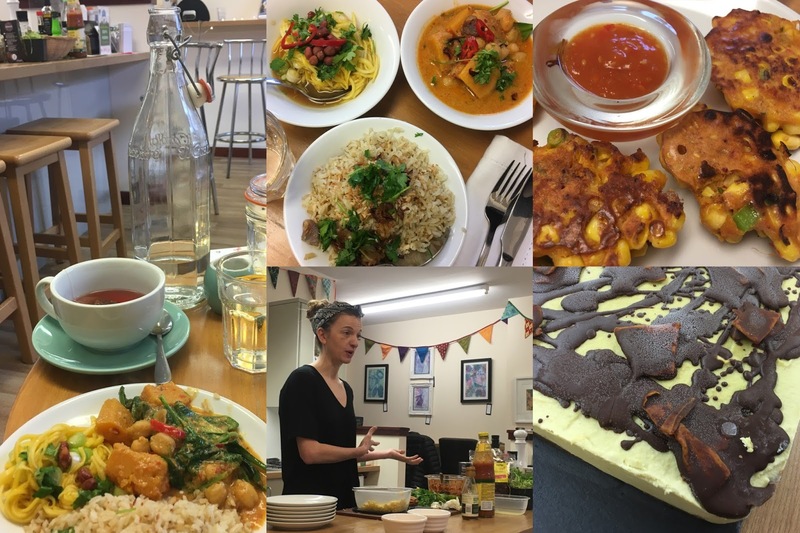 We watched demos and then ate... Thai Red Curry Paste, Fresh Corn Fritters, Mango Salad, Thai Coconut Brown Rice, Butternut, Chickpea and Spinach Thai Red Curry and Mango and Lime Raw Cheesecake. Keep an eye on her website for further dates. The teenagers came good on Mother's Day and I was duly delivered breakfast in bed. A rather epic plateful of Waffles with Smoked Salmon, Sour Cream and Chives. 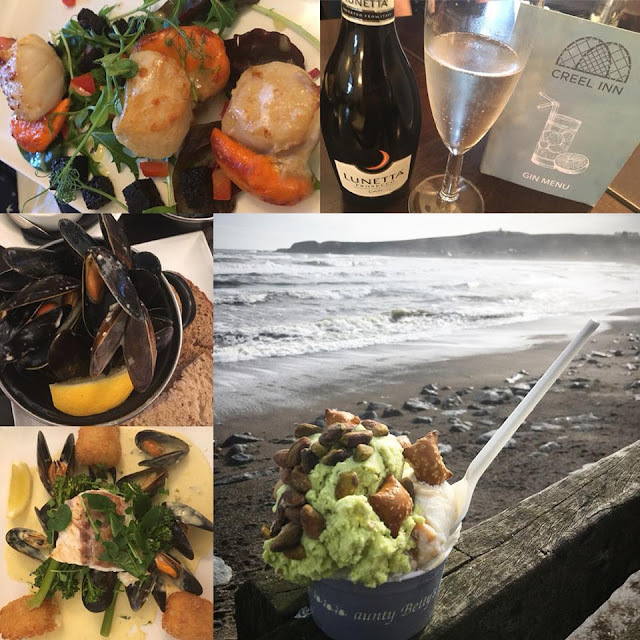 A walk in Dunnottar Woods proceeded an epic dessert at Aunty Bettys before heading to The Creel Inn for a late lunch of sublime shellfish washed down with Prosecco and Gin. Iconic Scottish Tunnock's Teacakes along with chocolate buttons and marshmallow tails came together to create Easter Bunny Bums. The perfect no bake chocolate treat for a Hoppy Easter. Bottoms up! I enjoyed a fantastic evening with foodie friends at The Mixing Bowl Aberdeen learning about Venison with chef Lesley Gillespie of The Chard and Steve Wright from Mortlach Game. 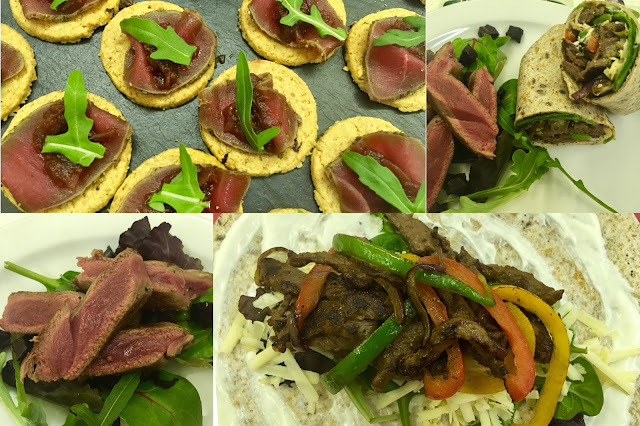 We cooked a Warm Venison Salad with Raspberry Sauce, Venison Fajitas and tasted Slow Cooked Osso Buco. 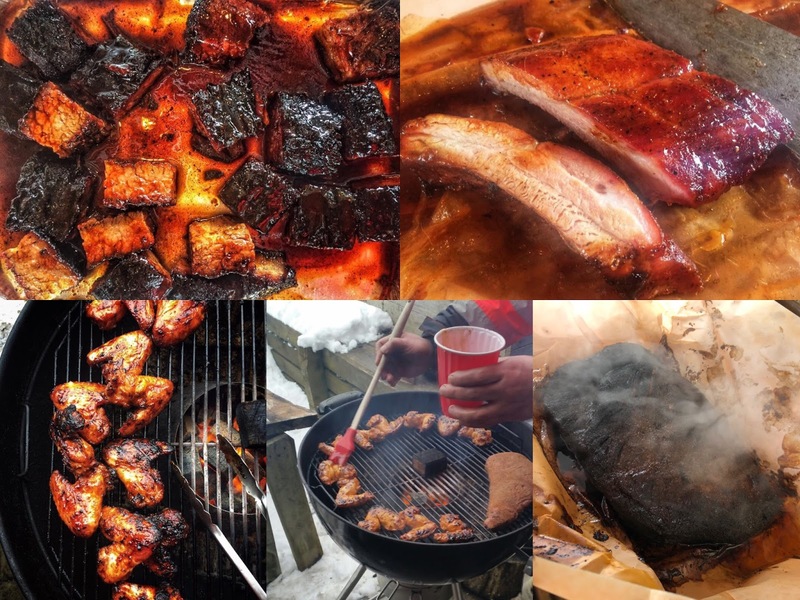 The event certainly made me consider why this isn't a meat that I cook with more often. Venison Fajitas will definitely be making an appearance on my dinner table very soon. 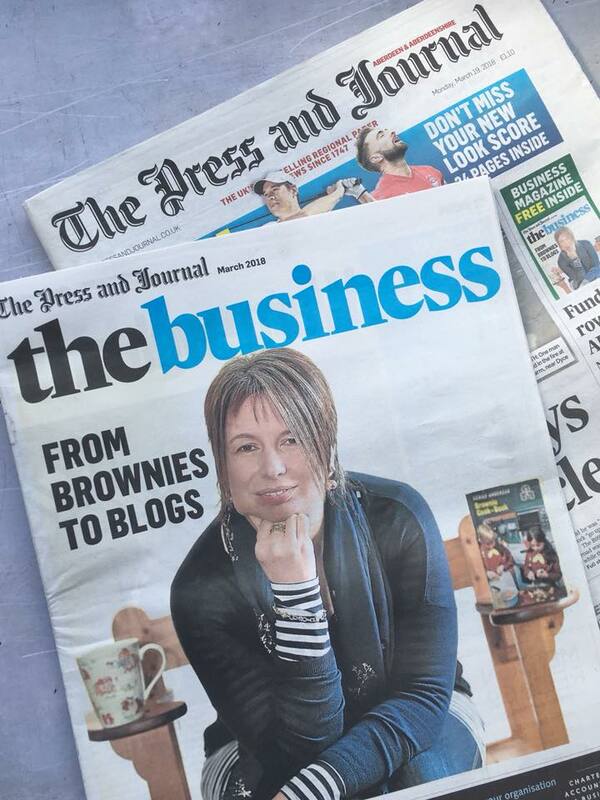 I was a wee bit shocked to find myself on the front cover of the Press and Journal Business Magazine. 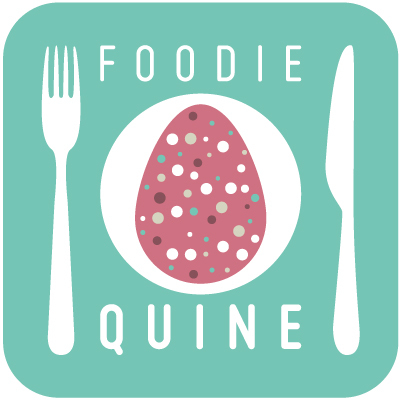 Blogging, freebies, hard work – and how it all began with a brownie cookbook Thanks to Business Editor Rebecca Buchan for the write up and to photographer Colin Rennie for putting me at ease. A new but old recipe proved itself to be very popular and somewhat nostalgic. Classic Homemade Custard Creams Biscuits - way better than shop bought with a crumbly melt in the mouth texture and generous quantity of vanilla buttercream. Perfect with a cuppa - vintage china teaset optional! 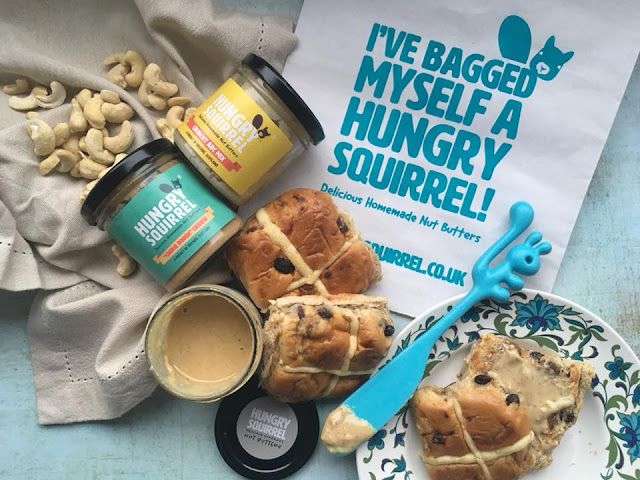 As part of my Meet The Producer feature I scampered off to Deeside to meet the ladies behind awesome local brand Hungry Squirrel. Completely natural products, vegan friendly with no refined sugars, palm oil or artificial flavourings. Their delicious and nutritious Nut Butters bring all the Squirrels to the yard! Read all about it - Going Nuts for Hungry Squirrel Nut Butters. When you and the the Rabbit Butter that you spotted in your local Morrisons makes it into the 'weird news' section of The Mirror... Morrisons is selling Easter bunnies sculpted entirely out of butter. Still annoyed at myself for not actually buying any. 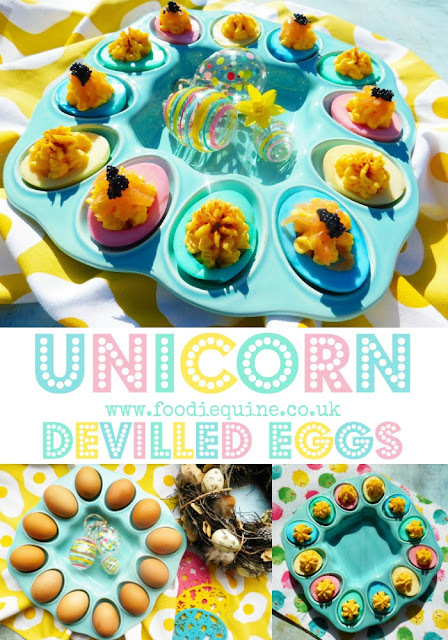 I squeezed in a final Easter recipe with Devilled Unicorn Eggs. These pretty pastel retro-tastic canapes are ideal for parties or picnics all year round. 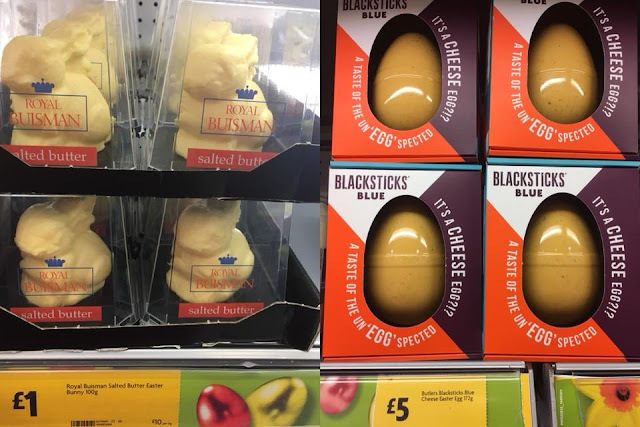 Take your devilled eggs to a whole new level of sophistication by colouring them and serving with smoked salmon and caviar. Easy to make but visually spectacular! I'm always super chuffed when folk share photos of recipes of mine that they've made. This month I've been tagged in Bunny Bums, Custard Creams and Creme Egg Scottish Tablet. Big shoutout to the 40th Aberdeen Brownies who all made Tunnock's Teacake Bunny Bums. 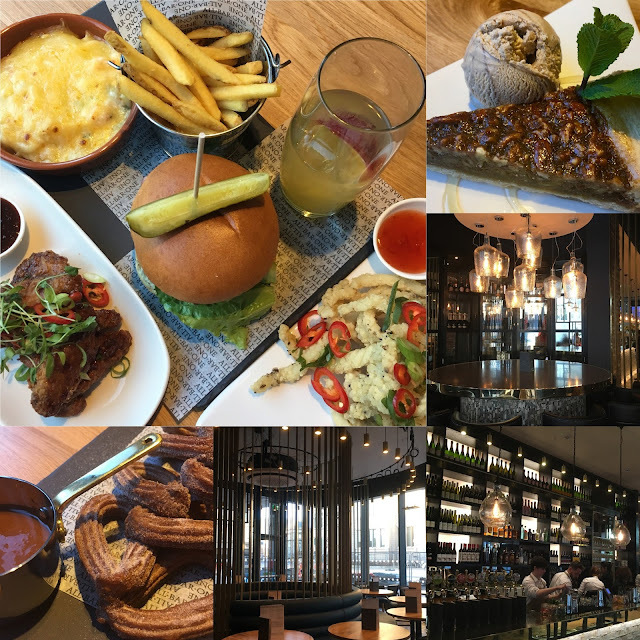 Please do keep sharing your pics - it really does make my day. Looking forward into April my plans include a week in Tenerife (been there, done that, got the extra half stone!) 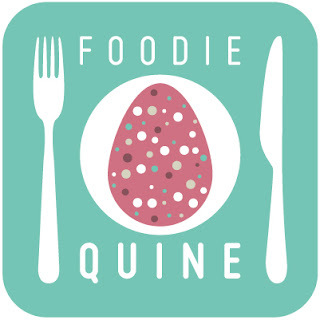 participating in an entrepreneur panel discussion at the Aberdeen Young Professionals Ball (hoping the fact I am neither young nor professional won't go against me) checking out the new a la carte & seasonal Prix Fixe menu at Malmaison, visiting Aberdeenshire's best coffee purveyors in the luxury of a BMW X2 and preparing for a vegetable cookery demo at Duthie Park Winter Gardens as part of National Gardening Week.